Work for Share - an opportunity to earn farmers market credit or a CSA share in exchange for volunteering! Contact nsworkforshare@thefoodproject.org to get involved in any of these activities! Work 3 hours per week on Tuesdays or Thursdays at The Food Project's farm behind Ingalls Elementary School in the spring or fall! There is also an opportunity to work on our Beverly/Wenham land also! 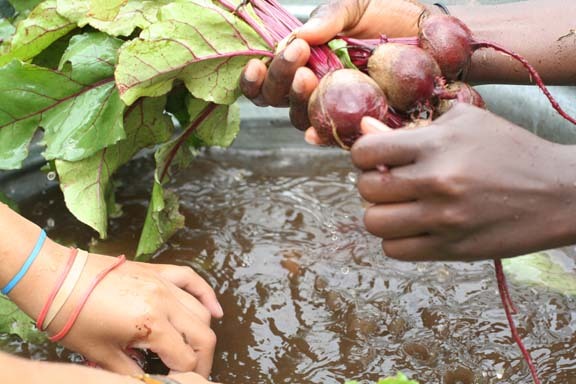 Help water and maintain school gardens during the summer! You can get fresh veggies in exchange for your work! Healthy Incentives Program - double your SNAP dollars at farmers markets!